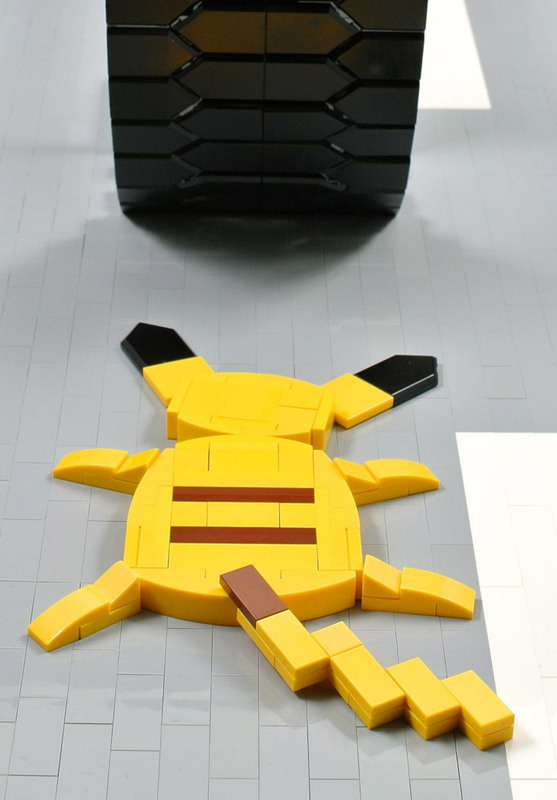 Lego and The Last of Us are not normally associated with each other. One is a family friendly and timeless creative toy, and the other is a critically acclaimed zombie video game. But, here we are with a fully realized video combining the two. 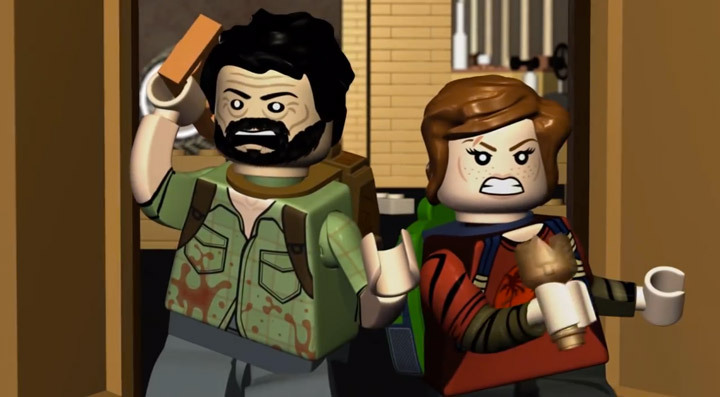 Brian Anderson and Dustin Bozovich put together this video showcasing The Last of Us as it would be if it was a Lego video game. The three minute video is extremely well made and pretty funny too. The fake achievement earned is hilarious, and I can honestly say that I didn’t expect that surprise ending. 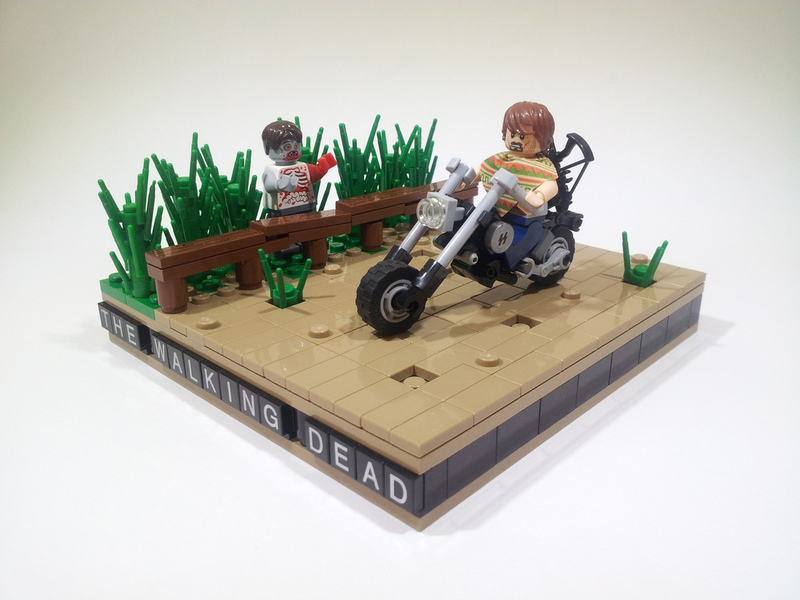 Here, Flickr user, Project Azazel has created a Lego vignette titled “The Walking Dead ‘DD’ Chopper.” Showing off a Lego Daryl Dixon and his motorcycle. A perfectly assembled scene, completely capturing the character of Daryl. Everyones favorite good guy with a bad guy reputation. He is easily underestimated, even though he may be one of the strongest in the surviving group. Nobody is going to mistake this as anything other then the Walking Dead. The Lego motorcycle may be the star here, it is a great example of how to assemble seemingly useless pieces into something greater. 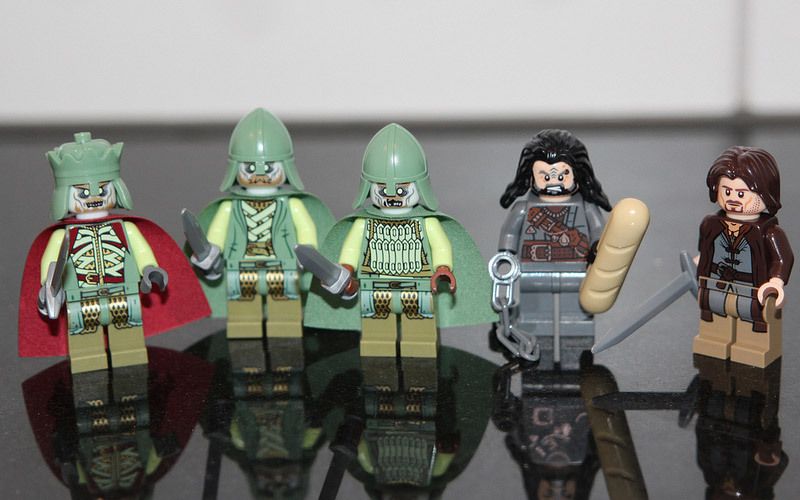 The new Lego Lord of the Rings sets are now available, and the reviews are starting to come in. 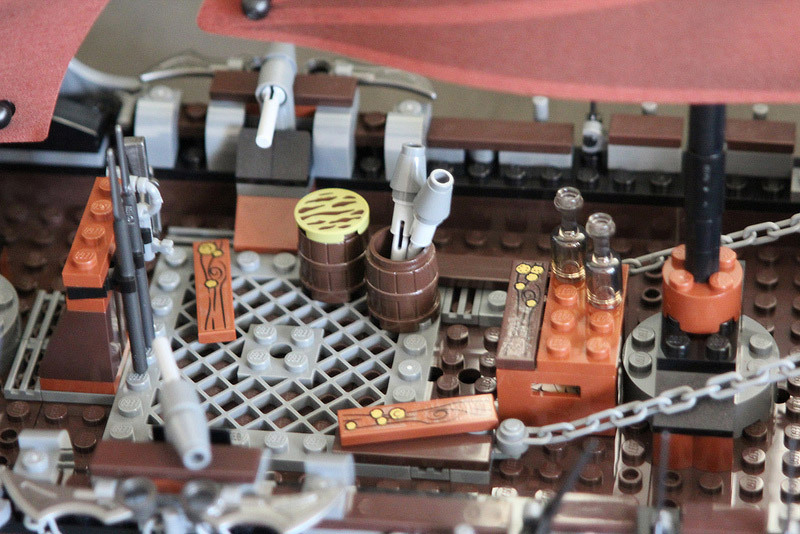 The big set of this wave is the Pirate Ship Ambush (79008) and comes with 756 pieces, 9 minifigures, and a whole lot of printed shields. Although a tad on the expensive side, the set does include a giant boat, and when compared to other boat sets, the price is just about right ($99 US). Oddly enough a tiny catapult is included with the set; perfect for your Army of the Dead to attack. The boat/corsair comes with some strange pieces, such as 24 shields (printed and unprinted), dragon wings, and a loaf of bread. Just in case Gimli gets hungry. 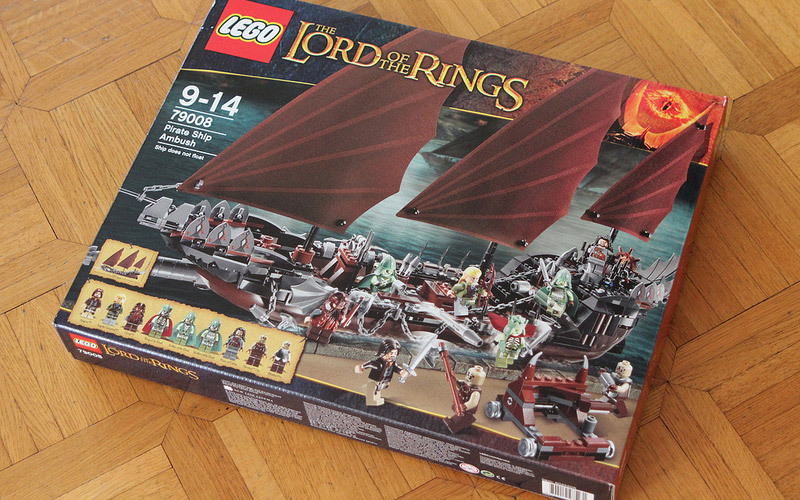 Speaking of Gimli, he just happens to be included with this set. As is Aragorn and Legolas, just in case you missed them in the first wave of the Lord of the Rings releases. 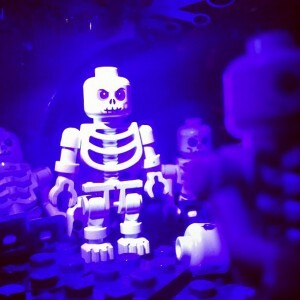 The new minifigs are surprisingly great, and are almost worth the price of the set. The King of the Dead, and two Soldiers of the Dead are the center attraction here. 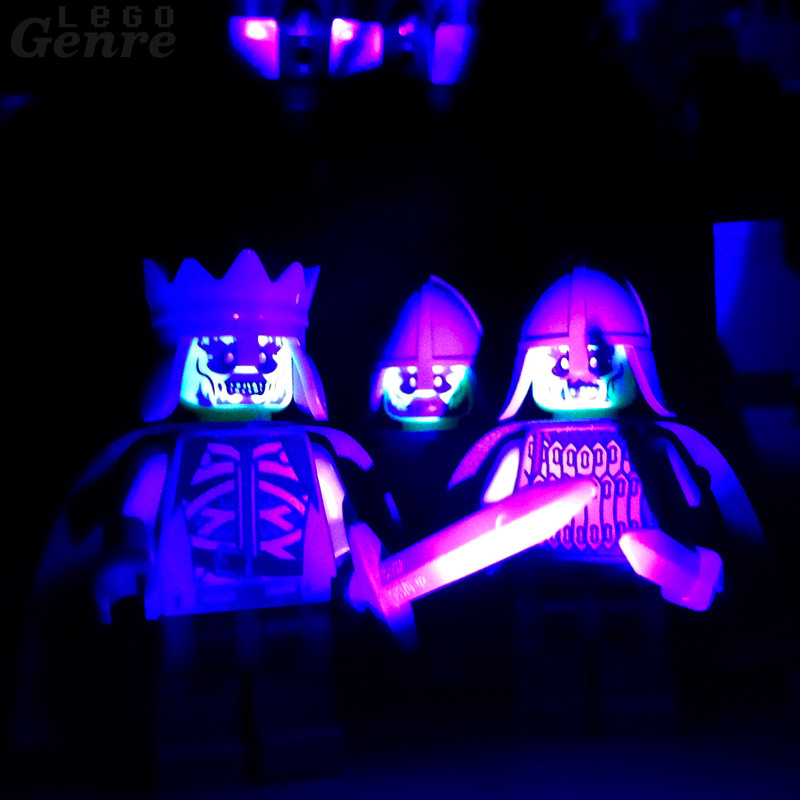 They feature a pasty green color scheme, and even glow in the dark (just like in the film!). There is also two Orcs and a corsair of Umbar included. I would have liked to have seen more pirates, but I guess Orcs are good too. The one corsair of Umbar included is based off of the cameo that Peter Jackson made as a Castamir of Umbar in the extended edition of the Lord of the Rings: Return of the Ring.